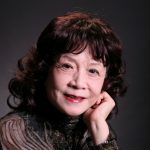 Hui-Qiao Bao is a well-known Chinese pianist, was the soloist at the China Symphony Orchestra from 1970 until retirement. She completed undergraduate and Master’s degrees at the Central Conservatory of music In Beijing and the Leningrad Conservatory of Music. During her university studies, she won numerous prizes both nationally and internationally, including the 1st Prize in Performance of Chinese Works Competition in 1960, 5th Prize in the Second George Enescu International Piano Competition in 1961, 1st Prize in the National Selective Competition of China in 1964 and a Chopin Competition in 1965, Best Performance Prize in the Fourth National Competition for Music Compositions in 1985 and “The Golden CD prize” issued by the China Recording Company in 1992. As a pianist, she has performed frequently all over China, Japan, Singapore, Europe and South America, Chile, Turkey and more. She served as adjudicator in many piano competitions in China as well as international competitions, including the Arthur Rubinstein International Piano Master Competition in Israel (1989), Jaen International Piano Competition in Spain (2007), UNISA International Piano Competition in South Africa (2008), Taipei International Chopin Competition (2008), Tbilisi International Piano Competition (2009), Seoul International Music Competition (2011), Leeds International Piano Competition (2012) and the Isangyun Competition in South Korea (2013). Many of her students have won prizes in national and international piano competitions. Since 2007, she has been Chairman of the China International Piano Competition.